A whole new breed of cyberattacks have made it clear that no amount of investment and upgrades on current detection based reactive technologies is enough to reduce risk and vulnerabilities. How does one re-think cybersecurity for tomorrow? How does one get ahead with a proactive model for cybersecurity breaking away from the reactive security model prevalent today? ·State of cybersecurity: The challenges facing security leaders and technology leaders today. Register here to listen to Rajiv Raghunarayan, VP – Products & Balaji Desikamani, VP – Marketing, Cyberinc as they outline the path to re-think cybersecurity. Cyberinc joins HPE Complete Program… Elevated Partner status empowers HPE Customers to acquire Cyberinc’s cybersecurity solution directly. “Browsers are our window to the World Wide Web, as we access various types of browsers on a variety of smart devices, umpteen times a day. The ubiquitous web browser - the strategically important application on corporate desktops, ironically, is also the only application on the desktop that regularly downloads and executes code from both trusted and untrusted networks. To borrow an analogy from airport security, the browser, by default, does not ‘scan’ or ‘frisk’ the code that enters and executes on the endpoint. As a result, browsers which keep the business connected to the global economy, have also become the preferred channel for cybercriminals to snake their way into our devices & systems. Cyber hackers are exploiting the inherent vulnerabilities associated with browser code and plug-ins to launch devious cyber attacks, impacting business continuity and revenues, along with eroding consumer trust and loyalty. Multiple vulnerabilities detected across popular browsers such as Google Chrome, Thunderbird, SeaMonkey and Mozilla Firefox by cyber sleuths in India, all highlight security issues within the browser. A recent advisory issued by the Computer Emergency Response Team of India (CERT-IN) has listed key browser vulnerabilities: of how browsers could be exploited by a remote attacker to bypass certain security restrictions, disclose potentially sensitive information, gain escalated privileges, execute arbitrary code and cause denial of service condition on the affected system. Cyberinc, a global enterprise security leader with recognised expertise in Identity Management, today announced the launch of its IAMobileTM Application for Identity Manager. The IAMobileTM Application certified by One Identity, will help in addressing the Enterprise Mobility requirement within organisations. IAMobileTM will help expand Identity Manager’s IT shop functionality of simplifying the process of managing user identities, access permissions and security policies, by providing a powerful and fully integrated mobile application with an unique user experience. This mobile application will enable users to govern their access, manage their approval tasks, attestation events and place product requests, anytime and anywhere from their respective mobile devices. This App will streamline the routine requests and approvals process between users and the respective managers. The seamless connectivity and access ensured by this inituive App will help in reducing risks associated with delayed access, and preventing security compromises through credential sharing between users. Equifax, one of the top credit reporting companies in the US revealed that sensitive data belonging to more than 143 million Americans was stolen in July. This represents approximately half of the U.S. population. This latest breach should come as no surprise to those who pay attention to the seemingly unending string of successful cyber-attacks in recent years. More details on how the attack was executed will certainly emerge in the coming days and weeks, as has been the case with other major breaches over the years. The real question we should all be asking ourselves is will anything change in how companies protect against attacks, or will this type of incident continue to repeat itself into the future. 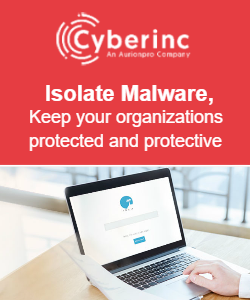 Cyberinc was created to provide organizations of all sizes with a new approach to protecting themselves and their customers data from these types of attacks. An analysis of high profile data breaches over the last few years shows that successful attacks use either or both of the following techniques to achieve success. Exploiting flaws in Identity and Access Management systems: Many attacks today from phishing e-mails to web application compromise and banking fraud rely on weak or outdated identity and access systems, mainly those that still rely on passwords to establish the identity or privileges of a user. Cyberinc has been helping customers design, deploy and manage state of the art identity solutions for well over a decade. Virtually every successful data breach includes some aspect of identity system exploitation or bypass. Leveraging Advanced Malware: Many successful attacks in recent years have used advanced malware to exploit and control systems which provide the attackers with a platform within the organization to achieve their goals. Web browsers are often the target of choice for advanced malware as traditional defense mechanisms such as anti-virus and intrusion prevention systems have been unable to detect and defend against the sophisticated malware available to attackers today. Cyberinc recognizes this and has developed a unique, integrated approach that combines a deep understanding and expertise in securing both identity systems and developing and deploying advanced malware isolation defenses. These anti-malware and identity have traditionally been addressed as separate and unrelated disciplines by the security industry. Cyberinc’s integrated approach to securing critical data assets addresses both key targets of attackers and represents a change in the point product approach to security. Only time will tell if Cyberinc’s new approach will make a difference in the seemingly never-ending stream of data breaches. But as this latest attack illustrates, it certainly is time for a change. Cyberinc, the security division of Aurionpro a global leader in enterprise cybersecurity, identity and access management solutions announced a partnership with Sohonet, a leader in global data management solution for the media and entertainment industries to deliver ground breaking, cloud based cyber-attack protection. The Isla Cloud Service offering from Sohonet ensures that customers can take full advantage of the internet while eliminating the advanced web attacks that have placed companies at risk. Isla ensures compliance with a number of industry regulations and guidelines for cyber-security including the MPAA Global Content Security Program Section DS-2.0 which requires companies working in the motion picture industry to isolate all systems processing studio data from the internet. Sohonet has been a technology driven company since its inception – consistently expanding and developing its systems and hardware to ensure it keeps ahead of the changing requirements of the media industry. We have long understood that for the majority of our customers, the primary function of technology is to enable the creative process. Our mission is to provide bespoke services and solutions that manage the technical obstacles which often distract our customers from their core business. SecuritySolutionsWatch.com: Thank you for joining us today Samir. Before drilling down into Cyberinc solutions, please tell us about your background. And, may we also have a brief corporate history of Cyberinc, an Aurionpro company? Samir Shah: Thank you for inviting me. It’s my pleasure to talk to you on this platform. My background is in technology innovation primarily around Banking/FinTech and Cybersecurity for better part of last two decades. As Aurionpro group, we have been on a mission to help businesses accelerate digital innovation securely. Thus we focus on Banking, Digital and Cybersecurity solutions. We formed Cyberinc by combining Aurionpro’s Enterprise Security Division, that focused on providing IAM solutions with Spikes Security, a Silicon Valley startup that created first web malware isolation product. Combined subsidiary, Cyberinc, thus helps address two key challenges that CIOs today face – 1. Who has access to what at all times and 2. End-point security from increasingly sophisticated, web borne, malware attacks. SecuritySolutionsWatch.com: One will read on Cyberinc.com that, “Our flagship product offering, the Isla Malware Isolation platform can help deliver 100% web freedom from web based malware attacks and our comprehensive IAM solutions have secured over 100 million identities for world’s leading corporations in the last 20 years.” This is indeed quite impressive! Please give us an overview of Isla Products and Isla Technology. Samir Shah: Isla represents an entirely new approach to cyber security. Until now security solutions have always been based on detecting “bad things” and blocking them from running. Anti-Virus tries to detect “bad files”, Web Filters try to detect “bad websites”, the list goes on and on. Isla takes a different approach to the problem. Instead of detecting “bad” things, Isla simply isolates ALL web content in a specialized environment located outside of an organizations sensitive network. Since ALL content is isolated no attacks can ever “slip through the cracks” and compromise the user. This is a simple, yet powerful approach. Since organizations vary so widely, Isla is offered in a number of ways to suit each potential customers’ needs. Isla can be deployed as an appliance directly at a customers’ office, it can be deployed in a customers’ existing cloud data centers or it can be delivered as a pure Cloud service by a Cyberinc Isla Cloud Service partner. SecuritySolutionsWatch.com: Today’s cybersecurity threat environment has never been more challenging and the recent cyber breach at the CIA disclosed by WikiLeaks was another in a long series of wake-up calls demonstrating how truly vulnerable we are in the private and public sectors. In this climate, Samir, what is your perspective regarding the unique value proposition that Cyberinc delivers to your customers at this time? Samir Shah: The threats have never been greater and the Wikileaks disclosure is just one example of what we are up against. Long gone are the days of the solitary teenager wanting to make a name for themselves by pulling pranks on unsuspecting victims. We are now up against the full capabilities of sophisticated nation states and organized crime syndicates with sometimes unlimited resources and talent. It is just a matter of time before the cyber-arsenal exposed by Wikileaks is harnessed by the bad guys to steal sensitive information and damage reputations and brands. Isla offers unique value in that it can defeat hackers, even those armed with the most sophisticated malware available today. Sometimes the most complicated problems require the simplest solutions. Even the most sophisticated malware will fail if it is never able to reach its target and Isla delivers this unique capability in a form that fits any customer’s needs. 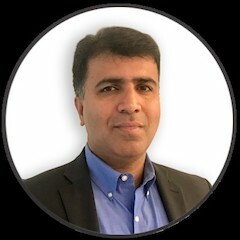 SecuritySolutionsWatch.com: Samir, can we talk about the IOT, BYOD and mobility culture for a moment? Many recent well publicized breaches seemed to initiate with a common flaw…the password, and it’s scary to think about the breaches we don’t know about yet! Please tell us about Cyberinc’s Identity Management Portfolio. Samir Shah: Effective cyber-security must deal with the two major attack vectors, advanced malware, which we address with Isla, and issues emanating from Unauthorized Access and Social Engineering, which we address with our Identity Management practice. Social engineering is all about fraud and impersonation. Passwords are still one of the major weaknesses in the cyber security ecosystem and they don’t have to be. The technology needed to bolster, or eliminate passwords has existed for many years now. At Cyberinc, we have been providing and implementing IAM solutions for over a decade now. Solutions range the full spectrum of the IAM stack from consumer identity to provisioning and governance on one hand, and access controls, single sign-on and fine grained authorizations on the other hand. We work with various global partners to provide value add to their solutions and ultimately implement them for large customers with complex environments and IT infrastructure. At Cyberinc we have assembled a world class team of security engineers over the last decade that have focused on the challenge of integrating these complex technologies to deliver cost effective, functional solutions. The experience we have gained by working with some of the most complex, high value organizations around the world enables us to deliver a custom solution for each new customer that fits their environment and their needs. Samir Shah: Our roots are in the financial market, but as the problem of cyber-security has spread we have expanded to keep pace with the need. In general, highly targeted and highly regulated industries place the most value on our capabilities. Amongst our key markets are Finance, Government, Healthcare, Manufacturing, Entertainment, and others whose life blood is the intellectual property and data they have developed and which is the cornerstone of their business. SecuritySolutionsWatch.com: Kudos on this Case Study and Testimonial from Whiskytree, a leader in the entertainment space with projects such as THE HUNGER GAMES to its’ credit. Care to elaborate on the Cyberinc solution provided to Whiskytree? Samir Shah: The entertainment industry faces some unique and complex challenges when it comes to cyber-security. Entertainment today has become one of the most sophisticated digital industries in the world. The work these companies perform is worth billions of dollars, but can be stolen in seconds by a hacker that breaches their defenses. The Sony breach of 2014 was a wakeup call for the entire industry. Since then a myriad of new regulations and guidelines have been implemented by the Motion Picture Association of America (the MPAA) to ensure that a breach of this magnitude is not repeated. The impact was so great that the MPAA mandated that no computer system that processes any of their members’ digital content have access to the internet. Isla is the only product on the market that enables companies in the industry to comply with this mandate without the expense of completely duplicating their endpoint systems and networks. We will be announcing additional details on our success in this industry, and others in the weeks and months to come, so stay tuned! SecuritySolutionsWatch.com: Without divulging any proprietary or confidential information, of course, any other success stories you care to mention? Samir Shah: It is difficult for many customers to publicly detail the security defenses they have implemented but we have had several landmark successes in the recent past. We recently deployed Isla in a major US Government agency after an incredibly comprehensive period of testing on their part. We are very proud that they have selected Isla as an integral part of their defenses and look forward to working with the agency in the future as we expand our presence in this and other Federal agencies. Isla has been selected by a large Midwest law firm to protect their users, both when in the office and when traveling to clients and court facilities. Many professional organizations, including law firms, face challenges protecting highly sensitive and confidential client information from compromise while traveling. Isla has provided the solution they have been looking for with a cost effective, easy to deploy and easy to manage solution. Several small to mid-size credit unions have also recently selected Isla for their cyber defenses. SecuritySolutionsWatch.com: We also read with great interest about Cyberinc’s One Identity Portfolio Practice Award. Please tell us more. Samir Shah: We at Cyberinc believe that security is a team sport. We have developed many close partnerships with other vendors over the years to ensure that we can deliver the highest quality solutions, in the least amount of time. This award is additional validation that our long-held belief in partnering with other companies to ensure our customers receive the best possible service still continues to be well received in the broader security community. SecuritySolutionsWatch.com: Samir, before we give you the floor for any final thoughts, we understand that Aurionpro is a publicly-held company in India which employs more than 1,500 domain and technology experts across North America, Asia and Europe and has delivered solutions for Fortune 500, global corporations across 5 continents and 22 countries. What key points would you like to share with the financial community as we head into Q2 and 2H 2017. 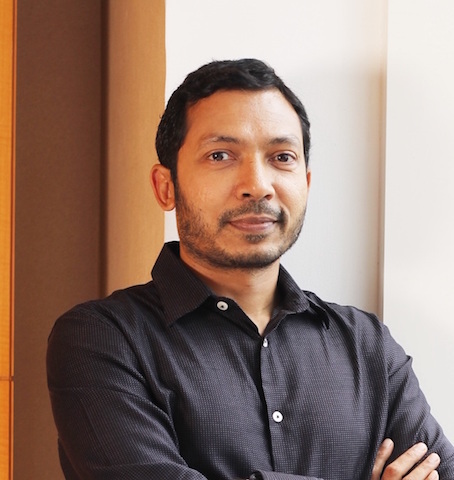 Samir Shah: At Aurionpro, we have been on a mission to help businesses accelerate digital innovation securely. Thus, our products and services focus on three key areas – banking, digital and cybersecurity. Cyber-security is a unique market that requires constant innovation and a driving desire to make a positive impact on the problems that challenge customers in all corners of the world. Aurionpro has continued our drive for innovation by forming our Cyberinc division which is completely focused on bringing together world class technology and world class talent from around the world to solve our customers most difficult problems. The growth of the global economy is dependent on the continued safety and availability of the internet and the digital revolution it has supported. We are in the right market, with the right technology and the right people to make a positive impact on enabling organizations worldwide to gain the benefits of the continuing cyber revolution safely and securely. We believe our business is thus poised for strong growth ahead. SecuritySolutionsWatch.com: Thank you again for joining us today, Samir. Samir Shah: Thank you, it has been my pleasure.